Elderberry at Park Place - New Property! Welcome to Elderberry at Park Place in Lincoln Beach! 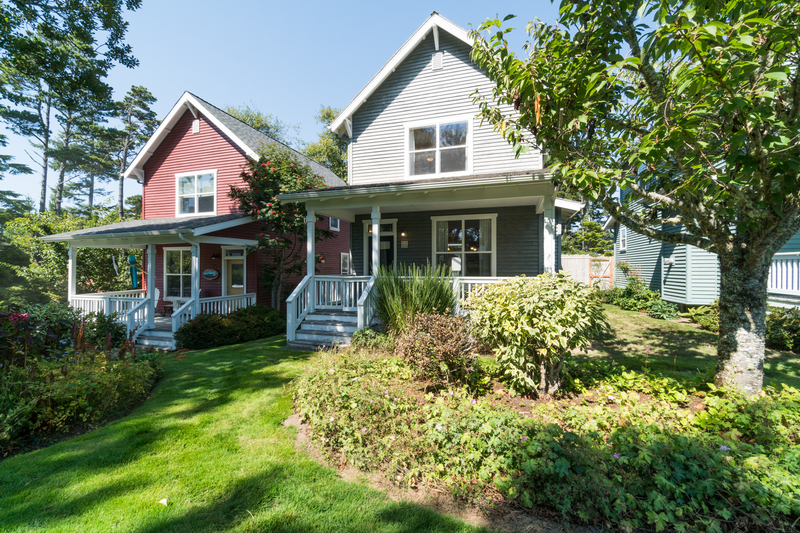 This two story home has two bedrooms, two and a half baths and has room for up to six guests! Step inside and you'll find yourself in the living room with the kitchen in the back. The living room area offers guests a place to relax after a long drive to the beach while watching a movie. Warm up by the fire during the cold winter months on the Oregon coast. The sofa turns into a pull out queen, perfect for any kids in your party! The kitchen has everything you'll need to make some quick and easy meals during your stay. There is also a grocery store in the area for easy grocery shopping when you get to the coast. The adjacent dining room table has enough seating for everyone in your party as well! You'll also find a half bath on this floor. Head up the stairs and you'll find two bedrooms, each with their own bathrooms. One room has a full bath, while the other offers a shower/tub combo. Both rooms let in plenty of light so you can soak up the sun while here on your stay. 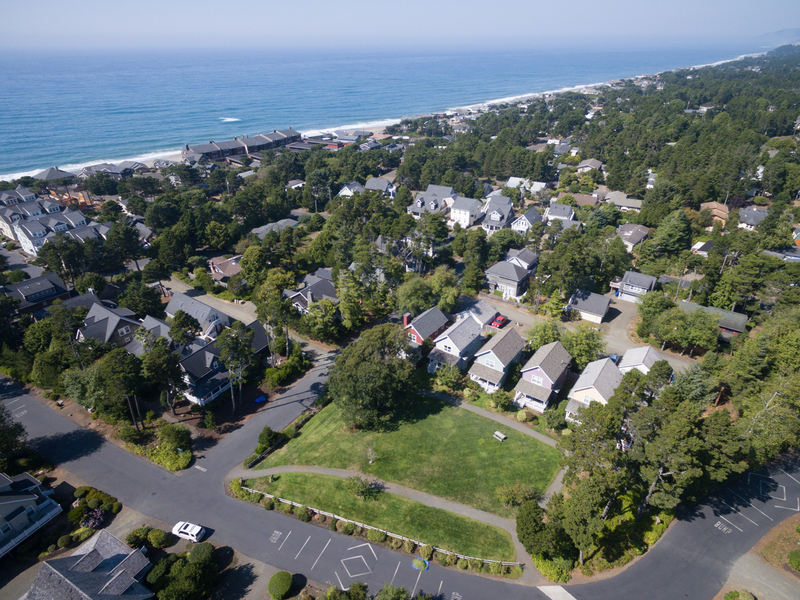 While staying at Elderberry at Park Place, you'll be between several great cities you can explore - Lincoln City to the north, with plenty of shopping options, including the Outlets and glass blowing shops in the Taft district. To the south, you'll find both Depoe Bay and Newport, just a short drive away. Check out the whale watching available in Depoe Bay, or go explore the Oregon Coast Aquarium in Newport! 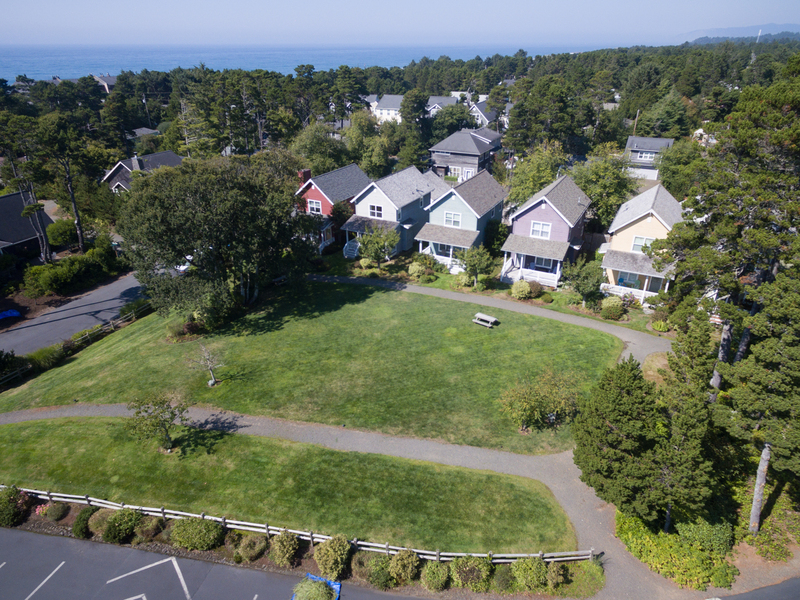 Book your stay at Elderberry at Park Place today with Oregon Beach Vacations! Please note: This home does not offer WIFI or Cable. Beach Access: From the home going West on Bella Beach Dr. at the end of Bella Beach Circle there is a path to the sand. 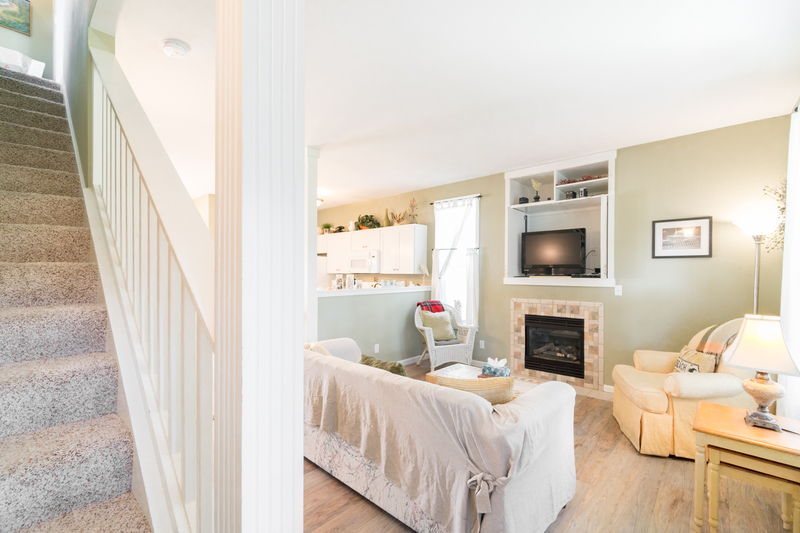 "I was very impressed with the cleanliness of the house. Stocked with everything you need for a long stay. The location is amazingly close to the path to the beach. The only complaint I have is no wifi or cable. Other than that it was perfect. I will be back! " "Hello Misti, Thank you for your review. We are happy to hear that you loved your stay at Elderberry at Park Place! This home does not provide either of these amenities, but we have plenty of other homes that do. We hope to have you stay with us again in the future." "Everyone in my group really enjoyed the home. We were able to check in an hour early which was greatly appreciated after the long drive. The house is laid out nicely and was very cozy. The dog enjoyed sunning in the backyard and morning coffee on the front porch was very relaxing. I have stayed at many places on the Oregon coast and feel this was a very good value. The only knock would be the no wi-fi and that we couldn’t get the one tv to work. I’m sure most guests would have no problem paying an extra 20-30 bucks a night to have WiFi and a couple of modern flat screens." "Hello Ramon, Thank you for your review. We are glad to see that you enjoyed your stay at Elderberry at Park Place. We are glad that the home was cozy and comfortable for everyone in your party. We are sorry to hear that you couldn't get the TV to work for you. We would have gladly sent maintenance out to the home to get this working for you. Please don't hesitate to give us a call should you ever encounter any issues. We have many other homes for rent with more modern appliances such as flat screens and Wi-Fi if that is what you are looking for in a rental. You can search for these amenities on our website. Thank you again for your review, and we hope to have you stay with us again soon." "Property was in great condition. Furnished well, relaxing and enjoyable. The only downfall was that the contact # for after hours & weekends was emergency only and we could not make a call with general questions on things. All paperwork said there was wi- fi but we could not locate the router. No biggie this stay but if my wife had to work er would have had to go into town and use a hotel. Over all great stay ◇◇◇◇◇Can't wait to return. " "Hello Brian, Thank you for your review. We are glad to hear that you enjoyed your stay at Elderberry at Park Place. We are glad that you found the home to be perfect for your needs. We are sorry that you were told that this home offers Wi-Fi, as it does not. We are sorry for the confusion. We hope to have you stay with us again soon!" "Lovely place for a great weekend. We would love to bring friends. Thank you for the nice cozy home"
"Hello Eileen, Thank you for your review. We are glad to hear that you enjoyed your stay at Elderberry at Park Place. We look forward to having you stay with us again in the future with your friends! " "Very nice cottage with a fenced yard and covered porch. The neighborhood was very well kept and beautiful. Very clean and near the beach. There were plenty of dishes, towels, etc. We enjoyed our stay very much. Very nicely decorated. The only complaint I had was that the front bedroom and bathroom floors were very noisy/creaky." "Hello Donna, Thank you for your review. We are glad to see that you enjoyed your overall stay at Elderberry at Park Place. It sounds like you had a great time while staying in this cute little neighborhood. We hope to have you back again soon." "We loved our short stay in this quiet cottage. Comfortable beds and loved the fireplace. Internet so we could use the tv was missed. " "Hello Karen, Thank you for your review. We are glad to hear that you enjoyed your stay at Elderberry at Park Place. We are sorry to say that this home does not provide Wi-Fi, and if it said it did, this was a mistake. We are sorry for the confusion. We hope to have you stay with us again in the future."